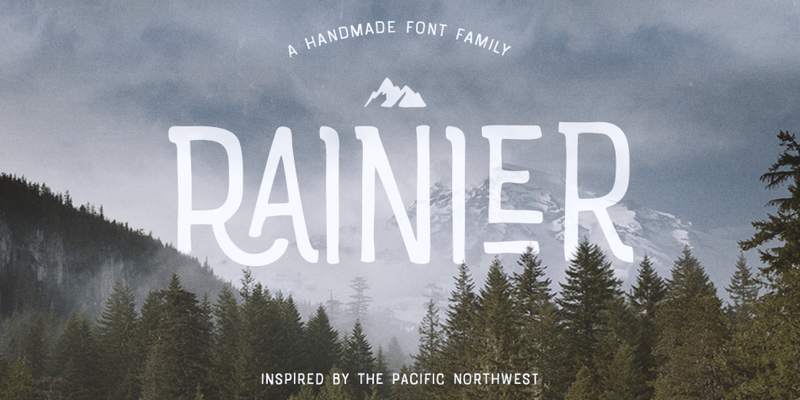 Rainier is a display marker hand drawn font family created by Kimmy Kirkwood and published by Kimmy Design, an US based design agency. Featuring 3 font styles (North, West and Ornaments), multiple weights, 15 additional Stylistic Sets, Contextual Alternates, Standard Ligatures and Swash, Rainier has a unique warm design making it a powerful font for experienced designers. Go North-West with Rainier! A font description published on Tuesday, May 31st, 2016 in Fonts, Kimmy Design, Kimmy Kirkwood by Andrei that has 3,213 views.